WordPress is known as an excellent system for content management. But that is not the only way it is beneficial. For one, it also plays an important role whenever people think of creating job boards. If that is the case, the content management system can now serve as a job board platform that people can use in posting job listings and even in even in taking the applications that came from those looking for jobs. In simple words, WordPress also works as an excellent tool that both job seekers and recruiters can use. With the help of WordPress Job board plugins, the site can already be used for that purpose. 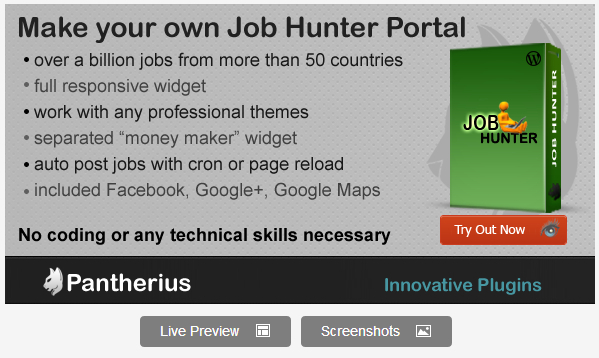 Now, all you have to do is find WordPress job board plugins that can best help you with the task. Do not have any idea what will work best for you? Here are some of the best free WordPress job board plugins that you can take a look at and consider. It is that job board plugin that enables you to manage job lists and applications within your own WordPress site. The good thing about this plugin is the fact that it supports all features. Whatever features you need to use in managing job openings within the organization, you can make sure that it will work well. This is the plugin that lets you create a job board that is customizable. By using this plugin, you will be given an affiliate ID, which will be the item that will provide you commission every time an employer has posted jobs. It is the job board plugin that enables you to have your jobs page in your own WordPress site. It lets you add and even edit job vacancies easily. There is the also the benefit that you can manage candidates who apply for the posted job securely by simply using an online app. Aside from that, the plugin also enables you to the easily and quickly create your jobs page, then automate most of the process of recruitment. If you are the administrator, this plugin will allow you to create and also show the job postings. As for the users, they will be able to submit resume easily either for general purposes or as response to a particular posting. Whenever there are job openings, the user can take a look at each one of them. As the resume or information is submitted, the administrator may take a look at and even edit or delete it. It is developed using MySQL and PHP. It is the plugin that provides the simplest way of using the API feed of Indeed.com on your own WordPress blog. Through the plugin, you are given the chance to create a job database with the use of the job sources you have. Now that you have an idea about the best free WordPress job board plugins you can have and use, why not take a pick? You can start using it to your advantage.